Get promotions inside the store noticed outside the store. 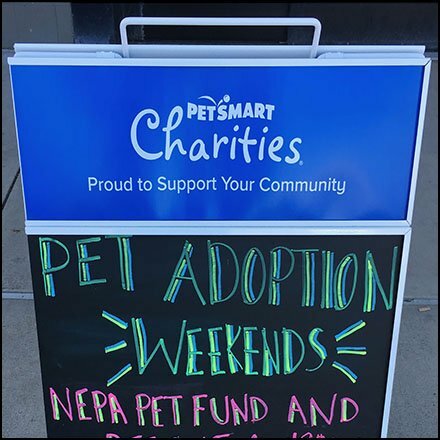 This Pet Charity Chalkboard Sidewalk Sign is one of 2 styles deployed by PetSmart. A Standard header masthead makes this one more specific and PetSmart branded. And the focus is Pet Adoption Weekends. The sign makes its pitch to customers and passersby alike. Compare and contrast this Pet Charity Chalkboard Sidewalk Sign with other PetSmart outreach below.